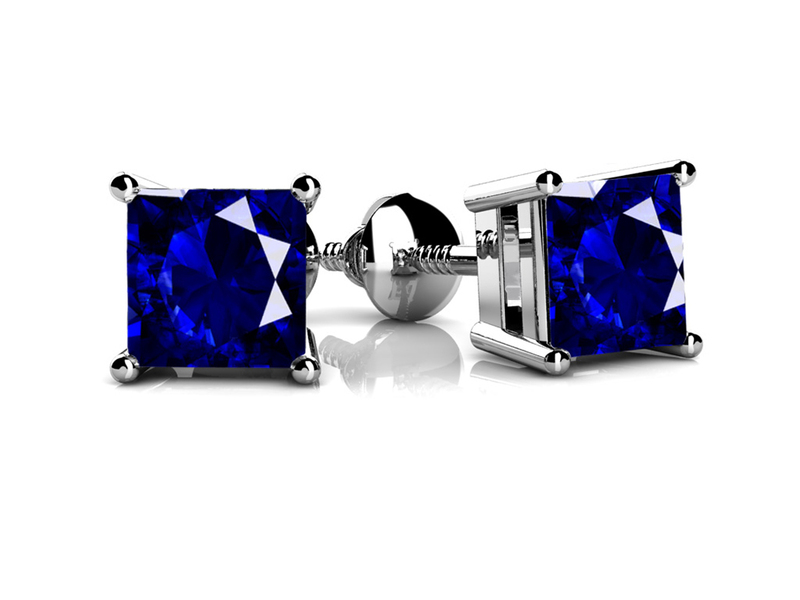 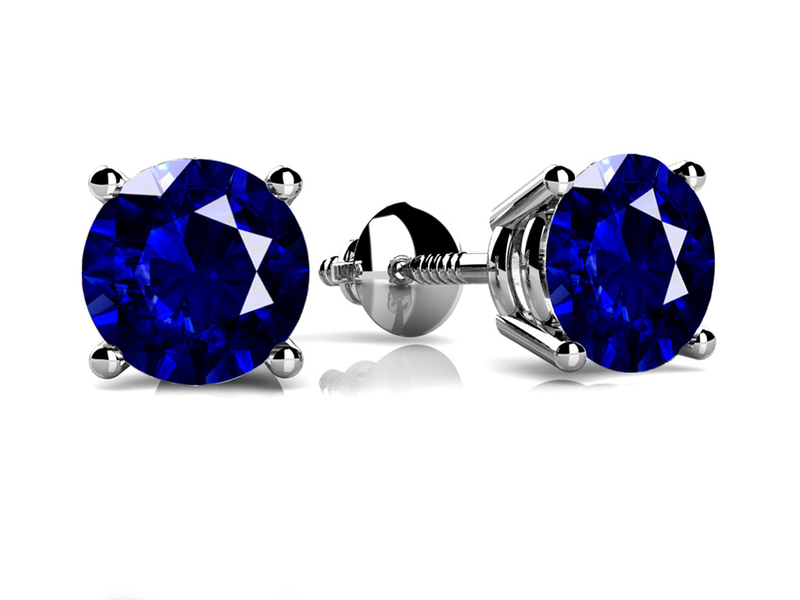 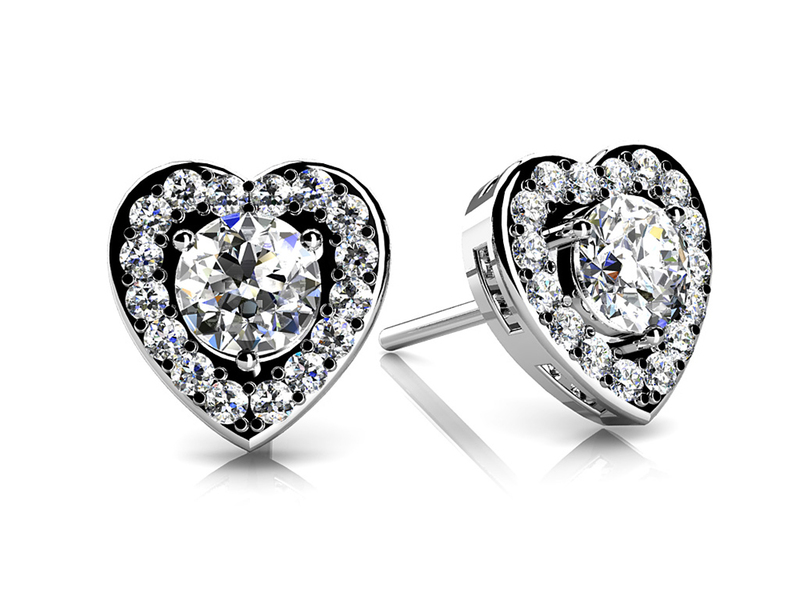 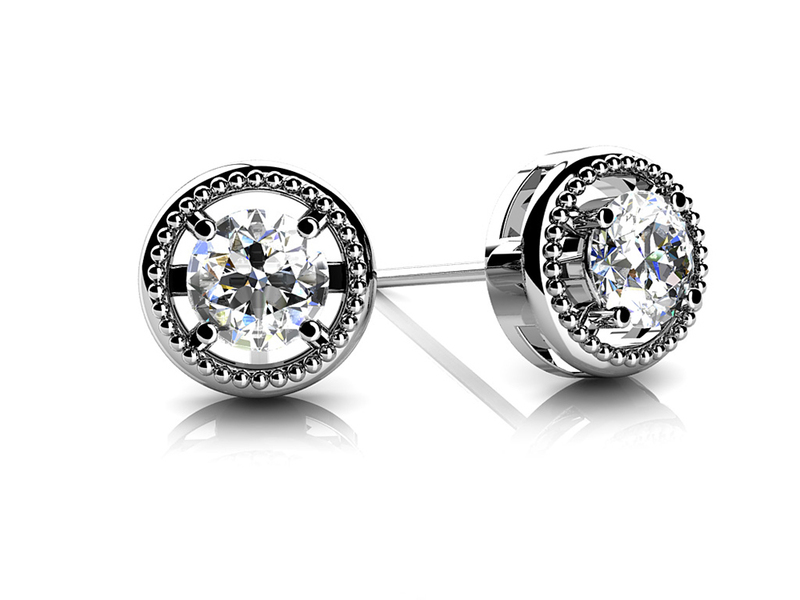 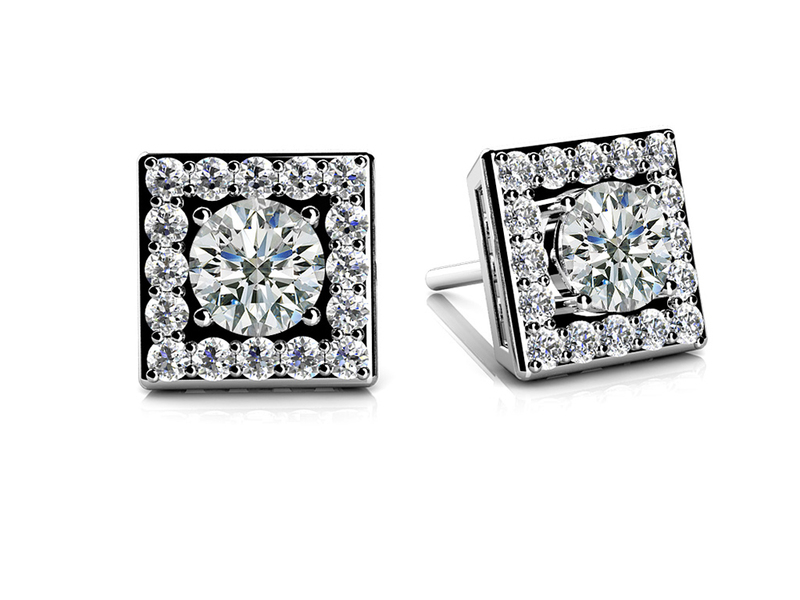 "Either .36 or .56 of a carat total diamond weight adorn these lovely stud earrings. 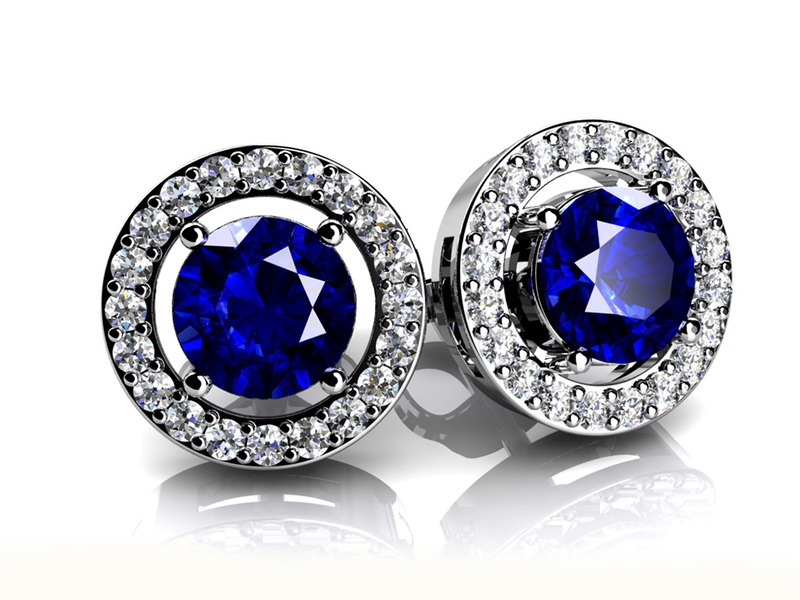 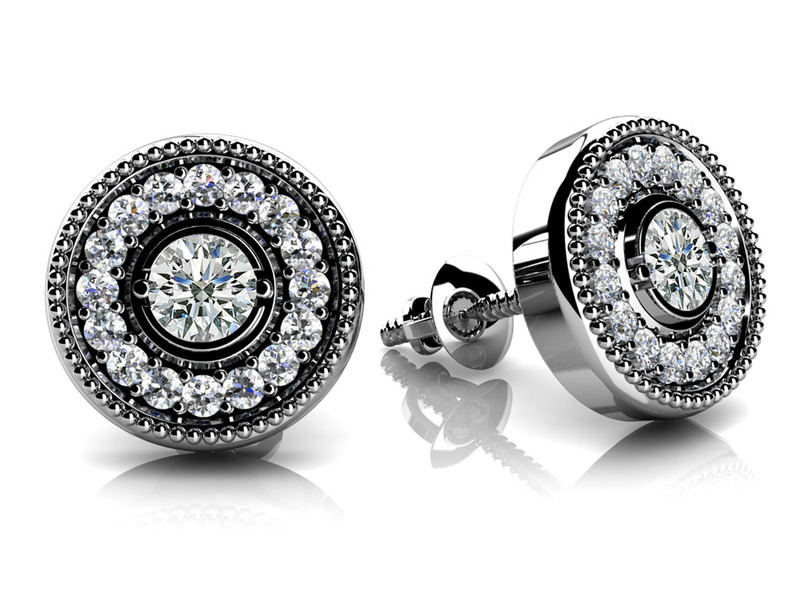 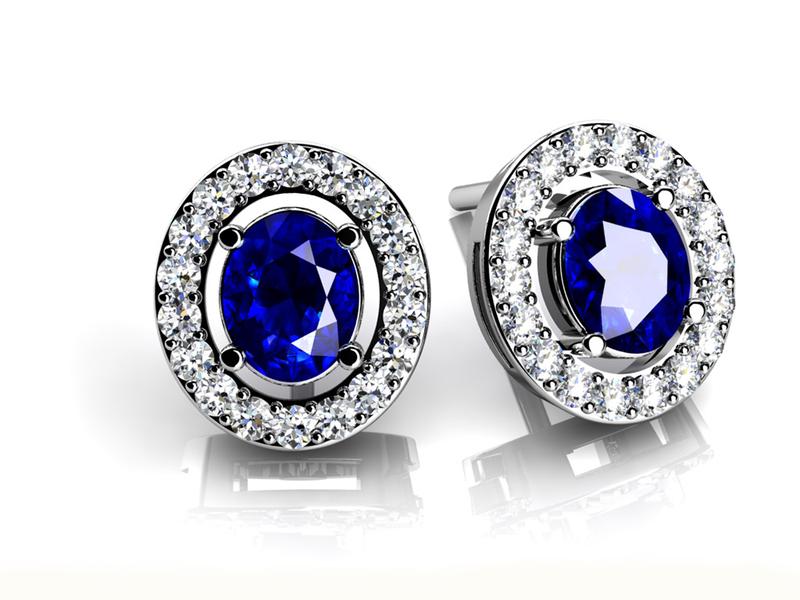 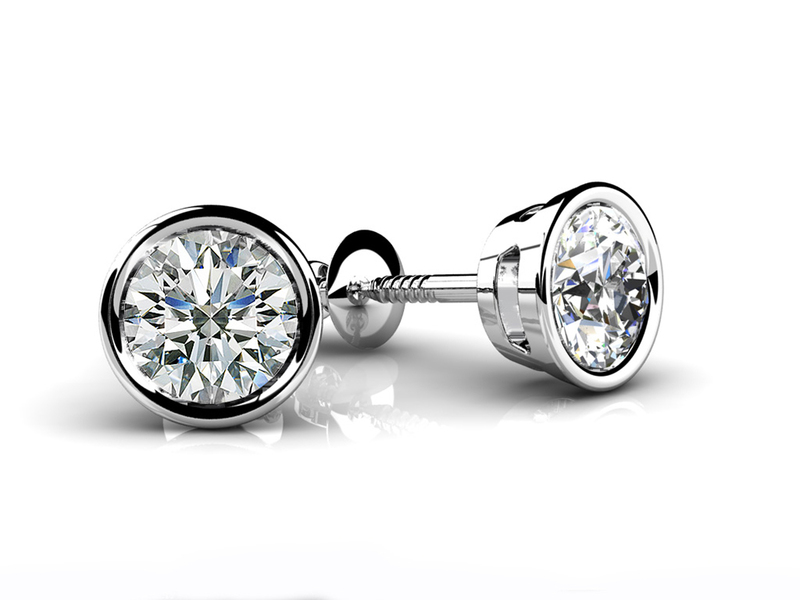 Each stud features a brilliant, round, center stone, which is encircled by more fabulous diamonds. 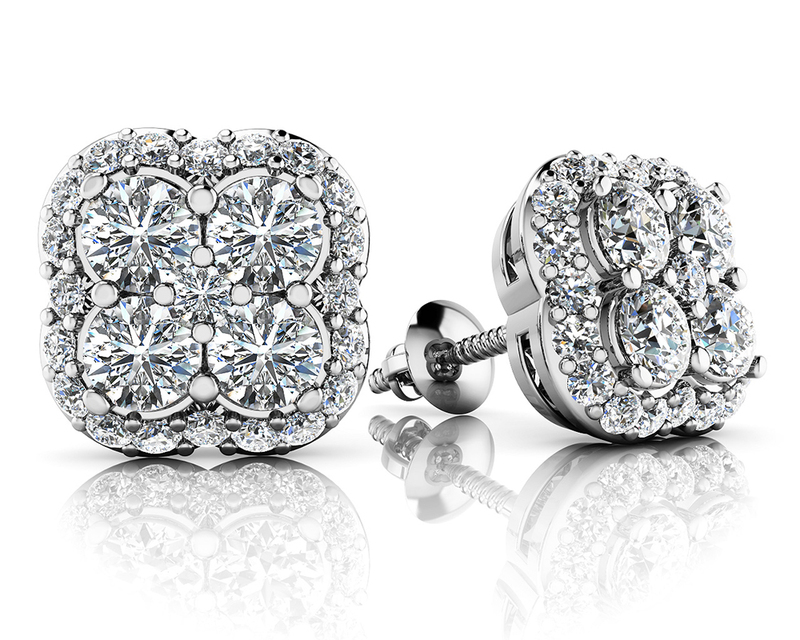 Available in gold or platinum – pick these up today!"